We need another and a wiser and perhaps a more mystical concept of animals. Such a corporeal engagement is often called “animism.” A renewed fascination with animism has sprouted from a number of areas—some academic, and others that have always valued the importance of such thinking. The intimate kinships associated with indigenous knowledges and life-ways, which in some cases have endured for thousands of years, reveal that an animistic reality is not new. Animism is way of positioning oneself in the world. It is about conceptualizing the material world and how we deal with it. It is a way of being in a world of others, not all of whom are human. Graham Harvey, a British professor of religious studies, describes contemporary animism as something much more inclusive than a belief in spirits or an adherence to Pagan cosmologies. In the Introduction to his edited anthology, The Handbook of Contemporary Animism, he highlights the “performative acts in which people engage with other species or with material things.” Harvey is part of a new group of contemporary Animists, emerging from the fields of sociology, anthropology, ecology, and cultural studies. His work leads the way, championing a multi-voiced reassessment of just what animism is and how it might find its way into our contemporary world. 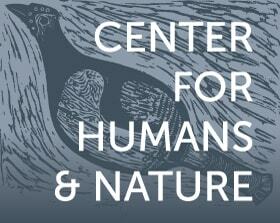 This interest in animism provides us a new framework with which to consider the writing of J.A. Baker (1926–1987) and Henry Beston (1888–1968), two authors who give us a window into an enchanted world. This “world” is made abundantly clear in their beautiful prose. Marking time with visions of immersion in, and reattachment to, the world from which we all have come enabled these two men to move beyond a disengaged, external observation of nature. The works of Beston and Baker highlight the human experiences within an agentic nature—a nature within which we dwell and engage. I draw attention to these two books for reconsideration with an animist lens because I fear that they are examples of something quickly slipping away. These books present a way of seeing that has become alien, strange, and, sadly, distant. Few books like them will be written in our present and near future, and I worry that a younger generation will have limited contact with the greater-than-human world and thus will be less likely to be drawn in by its magic. Indeed, one can be possessed by the compelling and deep awareness conjured in the writings of these two men. Touching on the otherworldly and sensuousness found within the greater-than-human world, the writing just might speak to a bygone era. 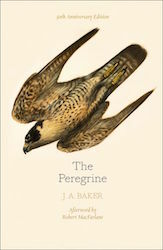 But I’m convinced that their books, The Outermost House and The Peregrine, still provide us with special insights that may be on the verge of being lost in our digital age. These works are prime examples of what the late eco-philosopher, Val Plumwood, referred to as “nature in the active voice” (from her essay by that title in The Handbook of Contemporary Animism)—where sound becomes voice, movement becomes action, and adaptation works as a dialogue. 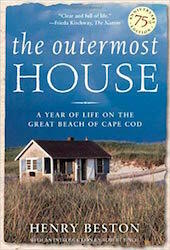 In 1924, Henry Beston Sheahan (who adopted Beston as his professional name) took up residence on Coast Guard Beach on Cape Cod and proceeded to draft what is now seen as a classic of twentieth century nature writing, The Outermost House: A Year of Life on the Great Beach of Cape Cod. Thrilling in its nuanced descriptions of the changing seasons and the many creatures who graced its beaches, Beston’s writing reflects on the human’s place in the world, a place among “other nations” recognized only when attuned to the many reciprocal relationships into which we are born. No aspect of nature on this beach is more mysterious to me than the flight of these shorebird constellations. The constellation forms, as I have hinted, in an instant of time, and in that same instant develops its own will. Here nature is other, but an attribution of consciousness is necessary for Beston to assure us he is more than a simple romantic talking only about his impressions, or a mere documentarian recording observations in a detached way. He shares the beach with these beings. Many species, in one place, woven together, and caught in the net of time. The Peregrine drifted softly from a dead tree, like the dim brown ghost of an owl. He was waiting in the dark; not roosting but watching for prey. The partridge coveys called and gathered in the furrows; mallard swished down to the stubble to feed; the hawk did not move. I could see his dark shape huddled at the top of an elm, outlined against the afterglow. The writings of Beston and Baker evoke the mystery and otherness found in the animal world, a world over which we do not have full control. This sensuous, mysterious world once blended with our own human world, but in an age of machines, hyper-managerialism, and endless abstractions, that world has slid slowly into the bog. Today the animals are still out there, somewhere, but too often in much diminished numbers. They are there in the factory farms, in the shrinking wild spaces, and on our sofas next to us, but the animals in our midst have become less magical, less elusive, and, perhaps for many, not exciting enough. Our contemporary world increasingly sees the non-human as pet, pest, product, or symbol, but as little else. A world preoccupied with sustaining human needs and social debates has little room for anything that does not conform to human spatial needs and its consumptive patterns. The Canadian naturalist, John A. Livingston, questioned our obsession with marshalling only logical arguments on behalf of the non-human animal. In his book, The Fallacy of Wildlife Conservation, Livingston averred that the practice of conservation is done mostly in the human interest. “Perpetuated in the service of man,” as Livingston would so eloquently put it, conservation, he warned, could easily become an affair concerned mostly with human utility. Ecologist Paul Shepard outlined in his many writings that we humans have always lived in a world that has shaped us as much as we have shaped it. In interacting with this world, not just for mere sustenance, we have become who we are. Our brains evolved amongst a whole array of sights, sounds, and dynamic changes—most coming from the non-human others around us. With billions of human bipeds roaming this great planet, it’s often surprising to catch glimpses of the beasts who once dominated the landscape. The animals who helped shape us are hard to find, but on the whole, animals still surround us. And yet, if the world of non-human animals has failed to be something that inspires us, perhaps it is because the world of our own making and our human-focused spiritualities seduce us in ways that the natural world cannot. “Only recently has the mystical pull of the animal world fallen from its status as a meaningful event and landed in the cultural broom closet,” writes author Christopher Manes in his book, Other Creations: Rediscovering the Spirituality of Animals. “Our religious self,” Manes insists, “has in the past been clarified and strengthened through stories about the many ways humans and animals interact, not merely physically, but paradigmatically, mythically.” Sadly, the animal has been knocked down a peg on the ladder of value. In the human-centered place of the city, only shadows of the animal world exist, intruders in a landscape of concrete and glass. The sacredness, wonder, and mystery associated with animals make up a vast and often complex terrain intertwined with traditional ecological knowledge, modern conservation biology, and non-Western spiritualities. You cannot explain to someone that they should have some kind of reconnection with the animal world and then expect it to happen. Those who are looking usually find it. Michael McCarthy, author of The Moth Snowstorm: Nature and Joy, writes of his daughter Flora and her captivation with the otherworldliness of whales. Existing in a hidden dimension, the ocean, their allure for her is undeniable: “Whales are so magical because when they surface, they offer a physical/visible token of another realm which is veiled from us, but which also comprises part of our planet.” This is the corporeal engagement of animism. Soon the swiftly winnowing speck Vose and I had hardly ever seen would be all we would ever know of her. Yet she’d been just an abstraction. George and I had flown where she has flown, seen the land that she had raked all day with her binocular eyes. And we had felt through our own fragile flight surfaces the same air currents, peered into the same mist and storm and rain that Amelia had known in every nerve, hollow bone, and fairy feather of her hard-muscled body. If we see a world with 9 or 10 billion humans on it by mid-century, the world of mystery and enchantment, the otherness of Beston’s “other nations,” will be severely and utterly transformed. Then, we will be just a few ticks away from the reality depicted in Yevgeny Zamyatin’s novel, WE, where people, identified as numbers, live on one side of a Green Wall—separating the unruly world of non-human others from the completely rational and well-ordered world of humans. Are we already there? I expect to live in a “world of wounds” continually masked by a world of human advancement and technological growth, a world where books like Beston’s The Outermost House and Baker’s The Peregrine lie dusty on library shelves since they have no relevance to the bland, sterile, human world around them.